There are lots of reasons to love September—the start of pumpkin season, cool mornings, and cozy layers. But for me, it is more personal. 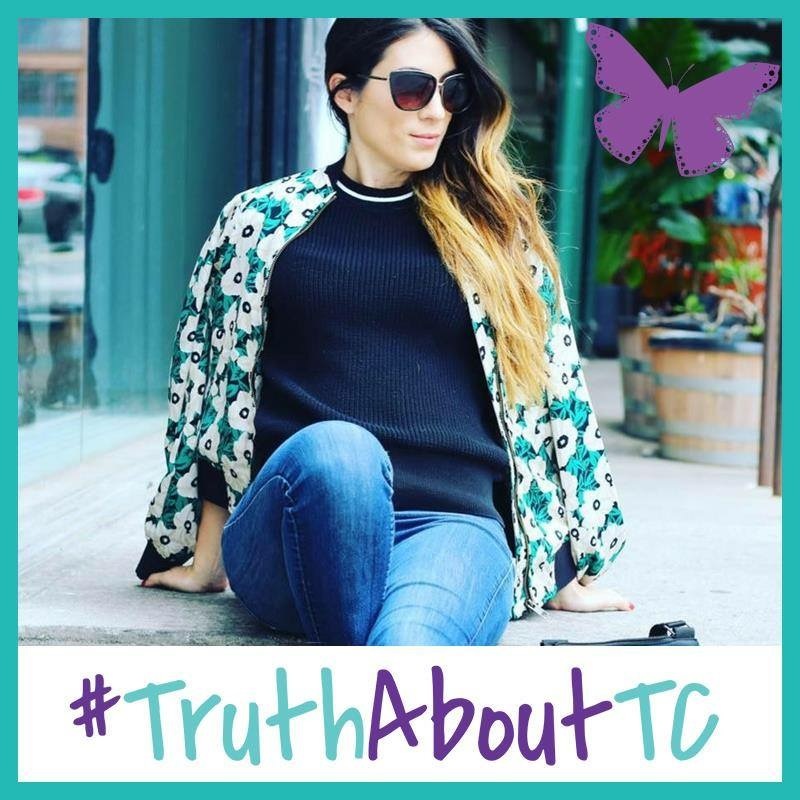 September marks Thyroid Cancer Awareness Month, which is both a time for reflection on my journey and a way for me to offer hope to others who have been recently diagnosed. As most of you know, I was diagnosed with papillary thyroid carcinoma (aka thyroid cancer) in 2013 at the age of 26. Since then, I have spent the better part of the last four years seeing my team of doctors (which includes my endocrinologist and surgeon) and regularly going for thyroid lab work and neck ultrasounds. In talking about my diagnosis, I hope it encourages others to get their neck checked. It is a simple exam to perform on yourself—or ask your doctor to do one at your next appointment. Change your profile photo: Show your support by adding #TruthAboutTC to your profile photo on Facebook. Click here to get the filter. Post an awareness message on social media: The Thyroid Cancer Survivors’ Association (ThyCa) has graphics that you can share on Instagram and Facebook. It’s an easy way to spread awareness and remind your friends and family to be vigilant and check their neck. Volunteer or become a ThyCa member: If you know someone who has been affected by thyroid cancer, ThyCa is a terrific organization to get involved with. They are a vital resource for so many patients and caregivers. Thank you, Ankita! Thyroid cancer is the ninth most common type of cancer, so it is important that we all learn as much as we can and remain vigilant about out our health. Thank you for helping me support these awareness efforts! Thanks for sharing these ways to get involved. Love your Facebook profile photo!